Hi Lisa! Tell us a little bit about yourself. 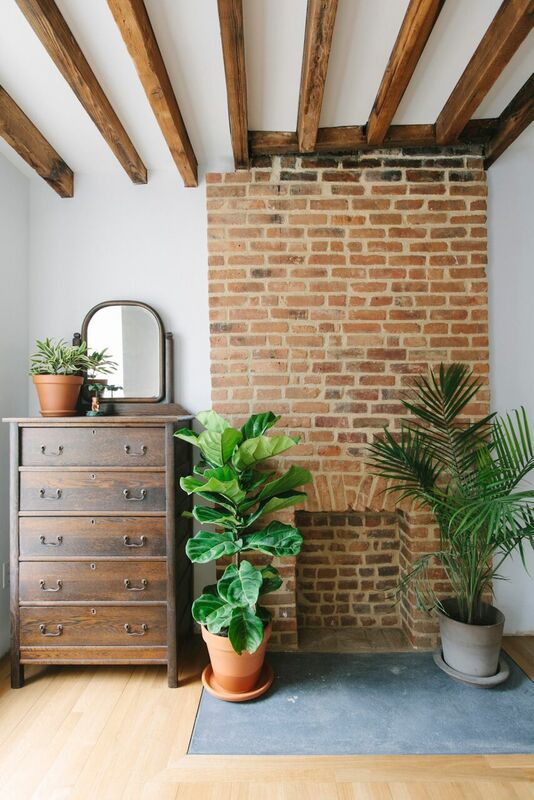 I am an interior plant designer based in Brooklyn, NY. Initially, I studied music performance playing violin in an orchestra. I loved it but didn't see that turning into a career. I ended up switching my studies to Radio/TV/Film production and came to NY to pursue Audio Production. After a little while, found work in the Visual Effects/Motion Graphics industry as a Producer. While the work was fun and the people were great, I wanted something more rewarding and turned to working with plants. What led you to begin Leaf and June? 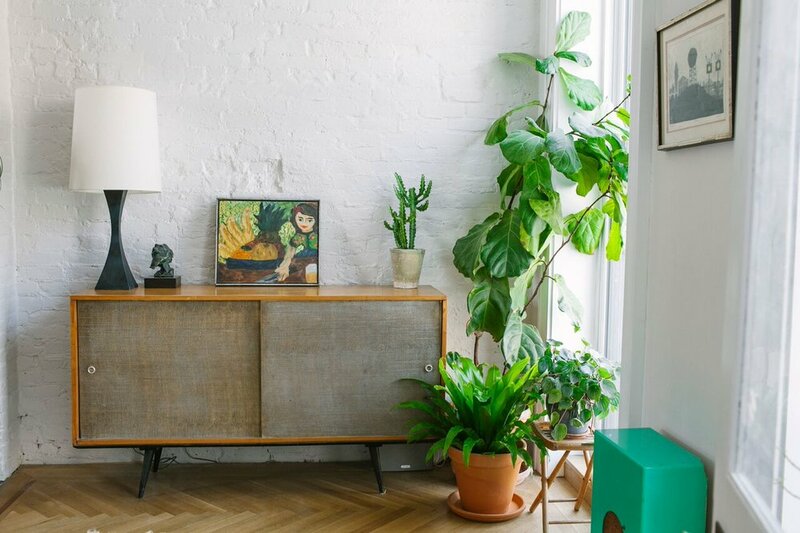 After working with a few plant businesses here in NY both in shops and with a gardener, I decided it was time to start my own thing that would allow me to focus solely on bringing indoor plants into people's spaces. It's what I love and often doesn't feel like work. What services do you provide and what did you think was missing from this industry when you began? I provide interior plant design for commercial and residential spaces in NYC. That means I get to select plants that will thrive in the space and planters that compliment the space aesthetically. The NY plant industry felt like it was missing a little warmth and character with indoor plants. How do you source the plants and materials that you use in your designs? Leaf and June allows me to work with local ceramicists and growers to transform sterile environments into lush, inviting spaces. That means that I get to hand-pick plants and tailor planters that best fit within the space. How do you connect with your clients and community? I connect with clients and the community via social media. There's a lot of love and passion for plants out there so I feel that we're constantly learning from and inspiring one another. I also have ongoing relationships with my clients whether it's with providing weekly maintenance or making myself available to them should they have any questions along the way. What are some of your favorite plants (sorry if this is difficult)? This is always a tough and fun question to answer though I'm so happy you didn't ask me to pick just one. Phew. 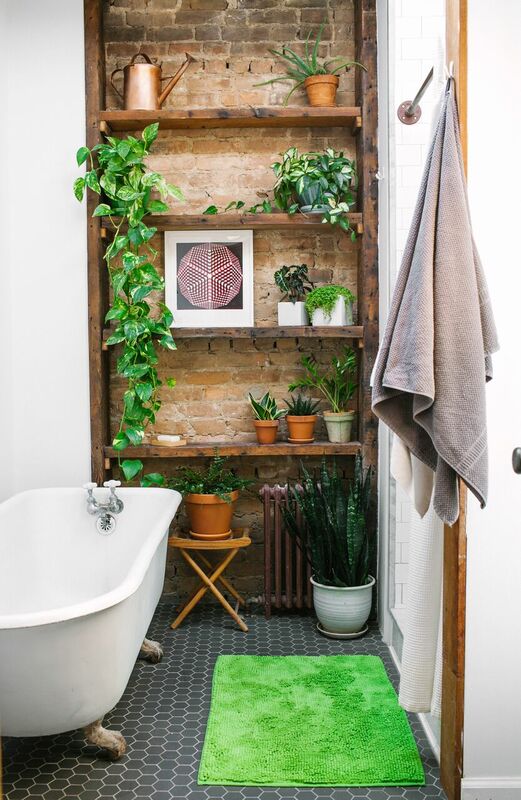 Some of my favorites are: Snake Plants, Rubber Trees, Xanadu Philodendrons, Monstera deliciosa, and cacti (in general). The list is constantly changing as I learn more and more about plants, but I'd say these are staples for me. I draw inspiration from New York as well as from my travels. New York is definitely finding its way with bringing plant life indoors and the botanical gardens are really stunning as well. Traveling helps me gain a better understanding of plants in their natural habitats where they're allowed to just be themselves. They're not confined to pots or our regulated indoor temperatures and it's fascinating to observe. Seeing people who would not normally consider themselves plant people evolve to become serious plant lovers. It's really rewarding to help educate them along their plant parenthood journey. What are some of the setbacks or challenges you face with Leaf and June? In general, it's tough being a business owner. It forces you to wear many hats and it often feels like your job is never complete. But overall, it's a great learning experience every single day and helps me try to find better balance with work and life. Slowly but surely, it's all happening. One plant at a time. Gender inequality is ever-present today and without supporting each other, we'd only be perpetuating that inequality. It's important to keep the momentum we have going currently by standing by other like-minded women and lifting each other up whenever possible. You've just gotta go for it. If it doesn't work, you'll walk away having learned something new. This is something that I'm constantly trying to work on. I rely heavily on calendars and spreadsheets. Fun, right? It helps me to be as efficient as possible which means more time to be home to hang with Marty, our dog. Other small business women have helped me a ton. We're always bouncing ideas and questions around to each other. We're all learning. We're all teaching. And we're all growing as businesses. The promenade in Brooklyn, the Brooklyn Botanic Garden, the New York Botanical Garden, and Lincoln Center for the NY Philharmonic.